The Organization for Security and Cooperation in Europe did not participate in the drafting of the bill on the Anti-Corruption Court submitted to the Verkhovna Rada on 23 December, an OSCE expert on judicial reform, Oleksandr Vodyanykov, told LB.ua on 26 December. 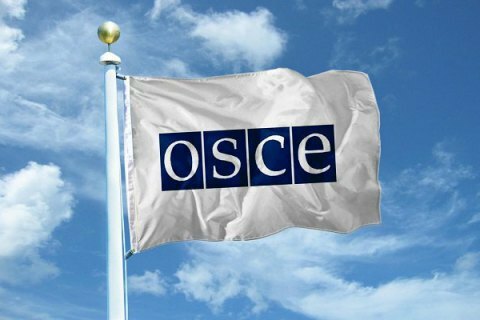 Vodyanykov said that experts Anatoliy Zayats and Valentyn Serdyuk who took part in the drafting of the concept of the bill on the Anti-Corruption Court in the framework of an OSCE project were not designated by OSCE. "We are attracting leading national experts to work on projects and develop certain regulations. They really were our experts and remain on our roster, but we as an organization did not participate in the work on the bill," he said. Vodyannykov said he did not see the text of the bill and is not sure whether it is in line the norms laid down in the conclusions of the Venice Commission. He expressed the hope that the bill will take into account the positions of the informal working group of international donors, set out in the Joint Vision on the basic principles for the creation of the Supreme Anti-Corruption Court in Ukraine on 15 May, 2017 and the recommendations of the Venice Commission. On December 23, a bill on the anticorruption court was reportedly registered with the Verkhovna Rada. The text of the bill, however, was not made public to this day. Before that, a group of experts including jurists Anatoliy Zayats and Valentyn Serdyuk, who were presented as OSCE experts. Zayats said that the bill was developed on the basis of a concept that was carried out by experts under the aegis of the OSCE "after careful selection of expert well versed in this subject." Some experts were apprehensive, however, about the words of Roman Yakovlev, who was a member of the working group that, according to the bill, the Council of International Experts during the selection of judges may state an opinion on the non-compliance of a judge, but the High Qualification Commission of Judges will be able to override this conclusion by 11 votes.